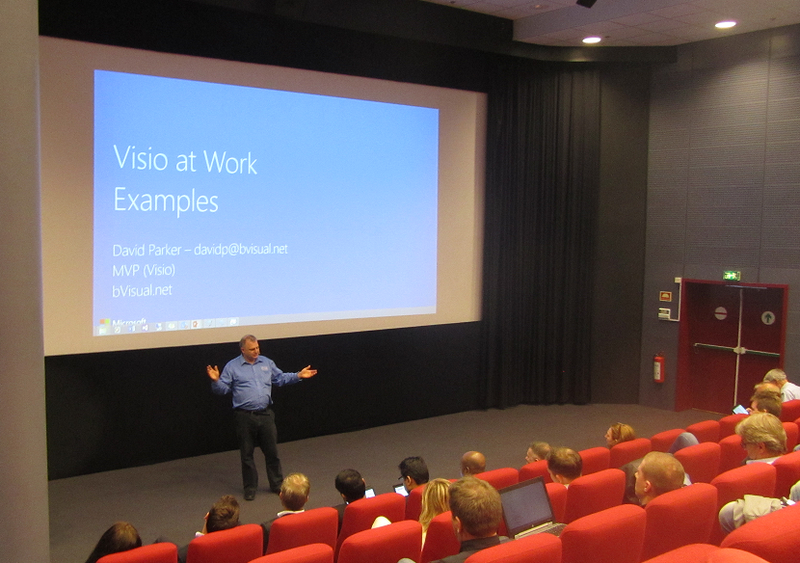 I was honoured to be invited to present at a Microsoft hosted event in Oslo yesterday about Visio and Business Intelligence … or is it Intelligent Business? I presented a few examples of work that we have undertaken for clients around the world, from process flows in Australia, to road maps and fault tree analysis in UK, to network equipment cabinet layouts internationally, and global WAN diagrams. Although I have been teaching Visio Services around Europe for the last 18 months, I was keen to demonstrate that Visio can be used for more than BI dashboards in SharePoint, and a little bit of customisation can go a long way. I was very impressed by the a demo of PowerView, even if it was in Norwegian. A special thanks to Thomas Bjørgan from Cenika for his presentation, see a demo of their Visio application Centech Draw at http://www.cenika.no/index.php/centech .